WELCOMING SPRING WITH OUR NEW LINE OF SCREEN PRODUCTS! It’s been a long time coming but it seems that spring is finally making its way to New England and what better way to welcome the warm weather than all new screen products?! 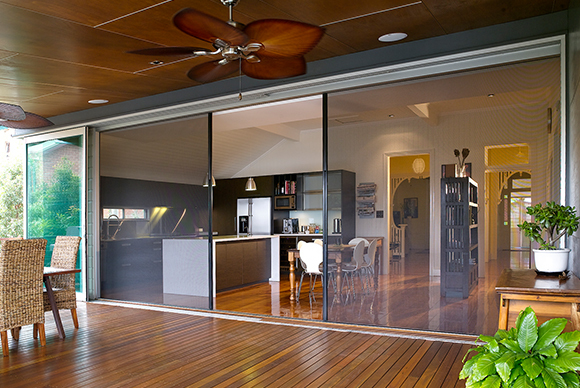 This is why Steel Windows and Doors USA is now offering the worlds-first screen system providing superior solar control, excellent protection from the insects and allowing for remarkable viewing area without compromising the style of the space. Our revolutionary S1E System created by Centor incorporates both function and fashion by utilizing an all new thermal insulation technology and an innovative screen system which effortlessly retracts horizontally into its sleek frame providing the user with the ability to make the screen noticeable only when it needs to be. Not only does this new system complement our already superior line of thermally and non-thermally broken steel window and door profiles, but it also grants the user with the versatility of being able to entertain family and friends, both in and outside, while enjoying fresh air from inside your living room without unwanted insects or harmful UV rays. Looking for more out of your screen system? What about blinds?! Did you say blinds?! Our new system doesn’t stop at single and double screen configurations. With the S1E system, we have the ability of incorporating both screen and blind into a SINGLE system. Not only does S1E’s new blind yield superior UV protection; reflecting 95% of UV rays, but it also doubles as a projection screen for your viewing and entertaining pleasure. This means, whether you are outside during a family gathering or inside watching the big game, you won’t ever be missing from the action. Are you interested in installing a screen and/or blind system but are worried how the screens will look paired with your existing doors? For years our team of professionals has been incorporating our steel window and door systems with existing finishes and styles which is why our S1E frame is made available in an extensive range of materials and finishes. Our units are available in numerous types of real wood veneers, white, bronze or clear anodized and a full range of colors such as white, sand, light grey, dark grey, dark brown and charcoal. Our S1E blind system™ is also available in a variety of custom paint finishes matching any space. Do your screens or blinds at home occasionally tear and become damaged by the elements and constant use? Not ours! Our system is constructed from a material which contains a combination of Fiberglass and PVC making it extremely strong and yet completely durable for use inside and out. Endless hours of impact and fatigue testing proves that, without a doubt, combining these selective materials makes the S1E blind™ the trusted choice for withstanding the abuse of children, pets and everyday wear and tear. Same applies for our screen material which is coated in a rigid PVC material and constructed with an improved polyester mesh which allows for the ideal amount of air circulation and protection from unwanted insects. To show how confident we are in our product, all of our S1E products also come with a 5 year limited warranty! Looking for a Roll Down Screen System? Whether you choose a fully automated motorized system or prefer the manual option, the SL 111 systems unmatched quality and style will transform any outdoor area into a well-designed and cordial space for year-round use. Similar to our new offered, revolutionary S1E System by Centor, The SL 111 system also integrates function with fashion by incorporating an innovative screen system that effortlessly retracts vertically into its sleek frame providing the user with the ability to make the screen noticeable only when it needs to be. Have more questions? We would be glad to answer them and encourage you to check out our Product Page for an in depth look at this remarkable product.